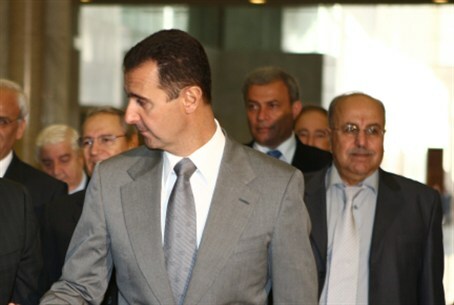 Maher Assad, the brother of Syrian President Bashar al-Assad, is reported by Arab media as missing. A prominent Lebanese parliamentarian announced in an interview published Thursday that Maher al-Assad, the brother of Syrian President Bashar al-Assad, "has absconded." "Whether he is injured and is being treated away from the limelight, or Bashar al-Assad is keeping him away from the military operations," is unclear," MP Khaled Daher told Kuwaiti newspaper Al-Anba'a. Assad, who holds the rank of lieutenant colonel in the Syrian army, heads its Fourth Division which oversees security for Damascus. The unit includes the Syrian military's elite Republican Guard -- a force similar to the Iranian Revolutionary Guards. Posts on the Twitter Internet social media networking site were rife with speculation that perhaps the security chief was injured, or maybe even dead. One writer noted in a tweet, "T-72 tanks bombarding Bab Amr/Homs part of elite 4th Army Unit under command of Maher Al Assad, Bashar's brother." Arab League monitors traveled to Hama, Idlib and Dera'a on Thursday, where anti-government forces continued to clash with Assad loyalists. The observers, who earlier had visited the central hotspot of Homs, quit the area, saying "nothing frightening" was seen there. Activists say that up to 20 people were killed by government security forces on Thursday alone, and mostly in areas where monitors have been visiting -- including a Damascus suburb. The BBC reports that the activists are calling for the resignation of the head of the Arab League observer mission, Sudan's General Mustafa al-Dabi, who according to a report by Amnesty International, was responsible for "torture" and "disappearances" in the 1990s in Sudan. The United Nations has estimated that more than 5,000 people have died at the hands of government forces in protests that began in Syria in mid-March, ignited by the region-wide "Arab Spring" protests.